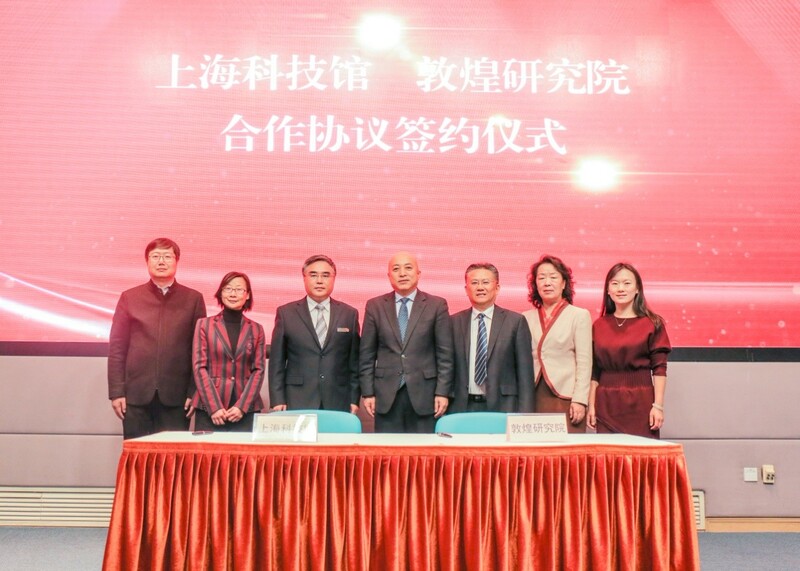 On the morning of November 17, 2018, the signing ceremony of cooperation agreement between Shanghai Science and Technology Museum and Dunhuang Academy was held in SSTM. In the future, the two sides will carry out extensive and in-depth cooperation in personnel exchanges, academic exchanges and social education. Following the ceremony, Wang Xudong, president of the Dunhuang Academy and director of the National Engineering Research Center for the Protection of Ancient Murals and Earthly Sites, gave a keynote speech entitled When Millennial Mogao Meets Modern Science and Technology - Protection and Inheritance of Dunhuang Art, in which he demonstrated from a professional perspective the achievements of the cross-over integration of science and art.